Start the festive season off on a high! 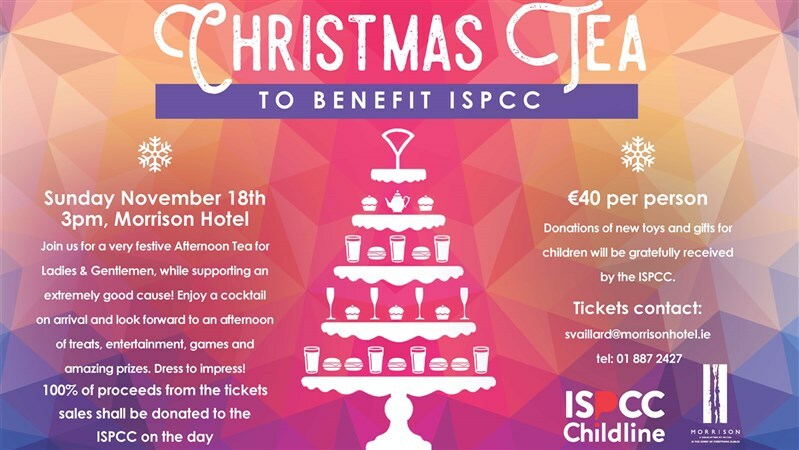 Join us on the 18th of November for a very festive Afternoon Tea for both ladies and gentlemen, while supporting a very worthy cause….the ISPCC Childline. Tickets are only €40 per person with 100% of ticket sales going to the ISPCC. New toys and children gift donations will also be greatly received by the ISPCC. This is an event not to be missed!